Whether you live in a single-family home, townhouse or condo, nothing's worse than being stuck at home without air conditioning on a sweltering, hot summer day. Home and business owners from South Central Pennsylvania, and Northern Maryland look to us for Air Conditioning repair and replacement, preventive maintenance, and our comprehensive AC inspection and system tune-up. Keep your cooling equipment in top condition with air conditioning repair and maintenance from our technicians in Stewartstown, Pennsylvania. At W. W. Gemmill Plumbing Heating & AC, Inc., we have the tools, skills, and experience to make your equipment operate efficiently again. 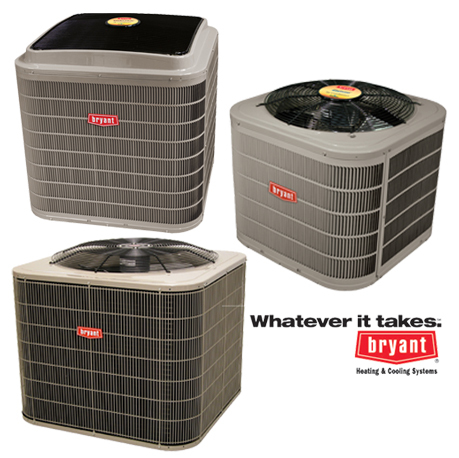 You can make sure that your air conditioning equipment is ready to go full throttle during the summer by requesting service from W. W. Gemmill Plumbing Heating & AC, Inc.
We do complete maintenance, service, and repair for Puron and Bryant systems and most other AC brands. Installation of new or replacement air conditioning systems is also available based on your specific needs. Call us today at 717-993-2233.